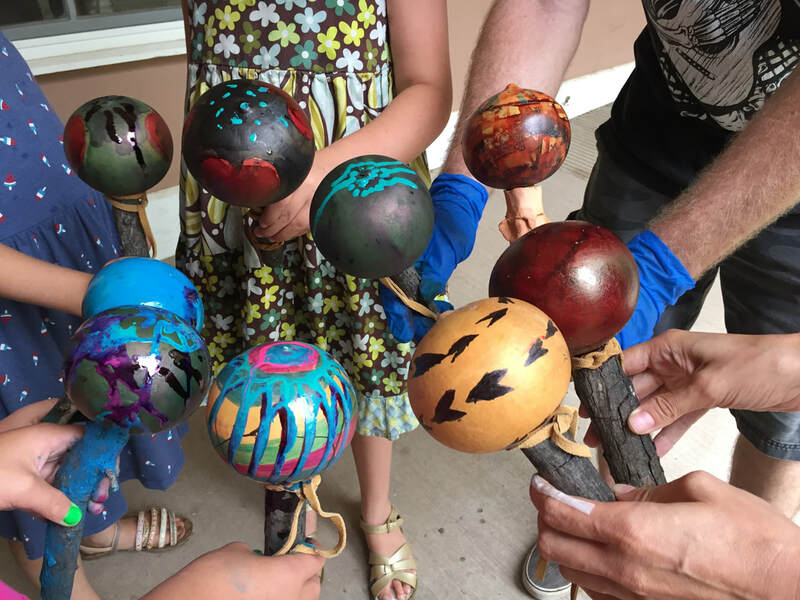 Borderlands Restoration Network collaborates with community organizations and artists to provide quality instruction for area youth. As BRN pursues our mission to "foster ecological and cultural place-based learning and leadership", we have established programming directed at teaching area youth about the intersection of Arts & Ecology. Land Arts of the American West is a program run by the University of New Mexico with the mission to "inspire and support environmentally and socially engaged art practices through field-based bioregional teaching, collective learning, interdisciplinary research, community collaboration, and creative forms of publication and exhibition". During the program's initial six week period of travel exploring the ecology of the American Southwest, participants spend a week in Patagonia, AZ camping and learning from BRN's staff and local collaborative artists.